When it's time to add a bit of punch to any dish, the time-honoured seasoning of choice for chefs around the world is freshly ground pepper. 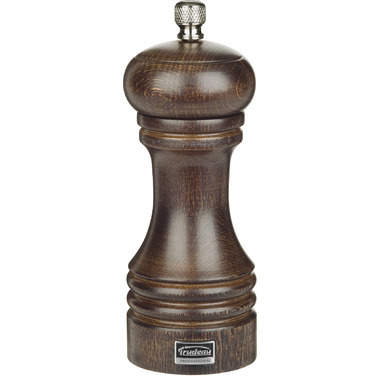 Now you can find your perfect grind every time with the Trudeau Professional Pepper Mill. 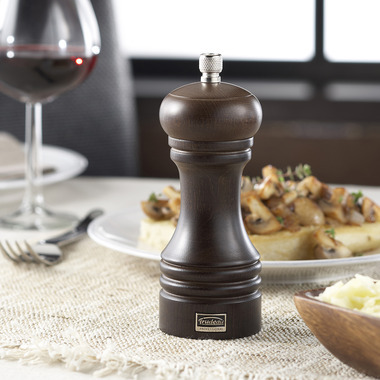 The adjustable grind lets you precisely control the consistency of the pepper from fine to coarse, and features a sharp, durable carbon steel grinder mechanism. The knurled knob is easy to grip and adds an attractive finishing touch to the mill's body.